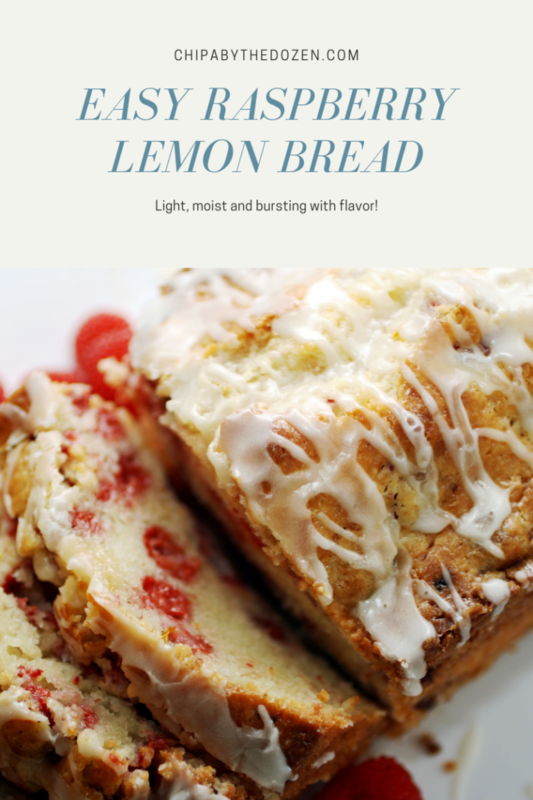 This Raspberry Lemon Bread is so easy to make. Crispy edges, and very moist inside. Every bite with a delicious berry. We have so many raspberry bushes at the moment, and they are bursting with fruits. Berries are not very common here in Paraguay, so it is a joy to have so much of it and for free. My oldest son and I are a little obsessed with raspberries. Each raspberry harvested, he thinks it should be saved for his favorite white chocolate raspberry pie. It’s a bit difficult to convince him that he should eat a little while he picks. The truth is that I don’t bake much with raspberries. I keep them for our favorite pie that, as you already read, is our favorite dessert. 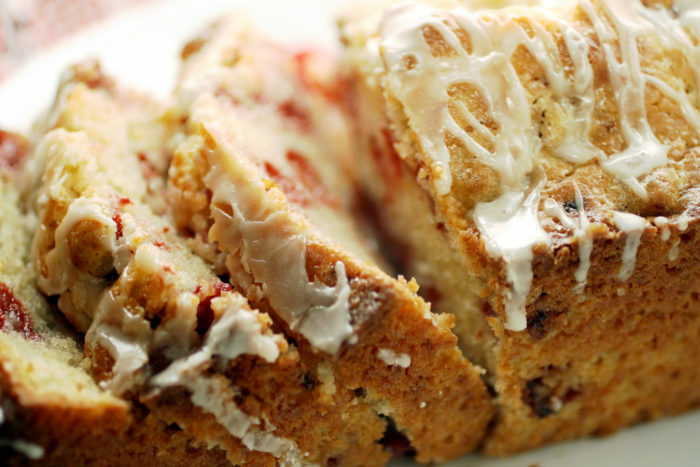 But trying to be more adventurous with our raspberries, I decided to give it a go and make this quick bread. 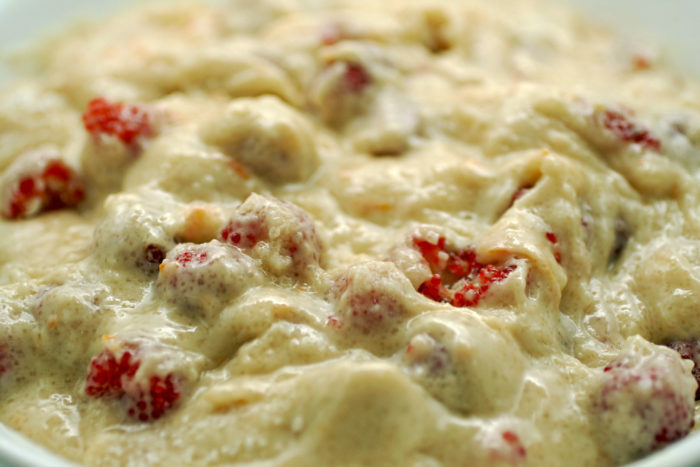 For this raspberry bread, we’re using oil and whipping cream. Oil gives this bread a light texture, and the cream keeps it moist. If you are using frozen raspberries, there is no need to defrost them first. Just follow the recipe like it is. 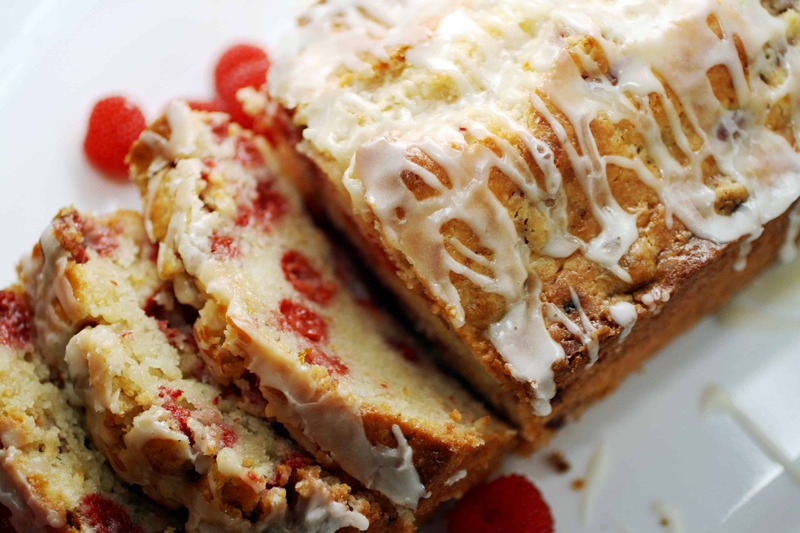 Don’t skip the lemon drizzle, it highlights the sweetness of the raspberries. Simple and delicious! grab a cup of coffee and enjoy a slice. 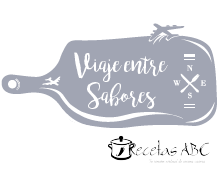 I’m sharing this recipe at CookBlogShare, hosted by Easy Peasy Foodie. 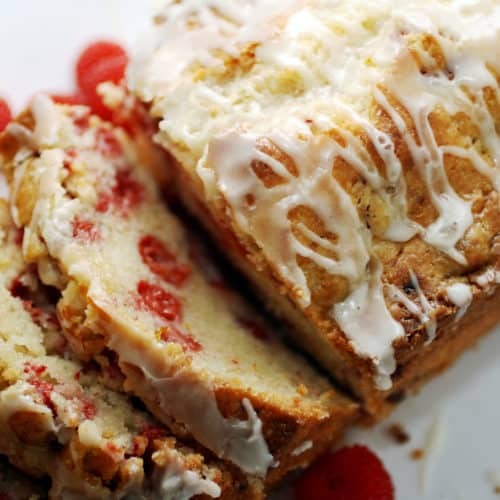 This Raspberry Lemon Bread, is so easy to make. Crispy edges, and very moist inside. Every bite with a delicious berry. Preheat oven to 350°F/180°C and grease a loaf pan. In a large bowl, combine flour, sugar, lemon zest and raspberries. In a small bowl, combine eggs, heavy cream and oil. Pour batter into a loaf pan and bake for about 30 to 40 minutes. In a small bowl, combine glaze ingredients and pour over bread. Serve warm. Keep at room temperature for up to 4 days. I’ve never baked a quick bread with cream. I have to give it a try! And that lemon drizzle isn’t optional – I totally agree. YUM! The cream makes it so moist 🙂 I hope you like it! This household loves raspberries, and yours looks so sweet and juicy. The bread sounds delightful. Need to have my husband Carlos make your recipe. 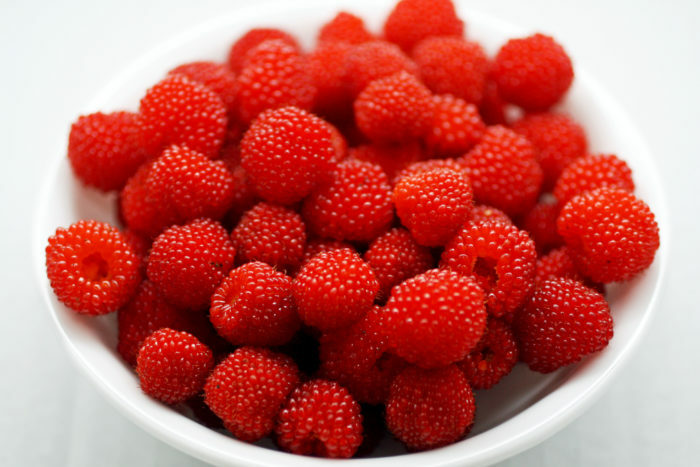 Wow those raspberries look so pretty! What a great combination! Wow, this looks like something my mother would love to eat on Mother’s day! So glad I found your recipe. Can’t wait to make it! The berries look so fresh and yummmyyyy!! My family loved this! We love to do sweet desserts and are always looking to add fresh seasonal produce to what we eat. Delish! I love lemon and raspberries together! This looks so moist and tasty, love the glaze too.